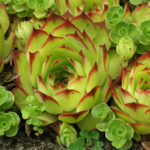 Sempervivum tectorum ‘Royanum’ is an evergreen succulent with a mat forming growth habit, that bears rosettes up to 5 inches (12.5 cm) in diameter of yellowish-green, red-tipped leaves. 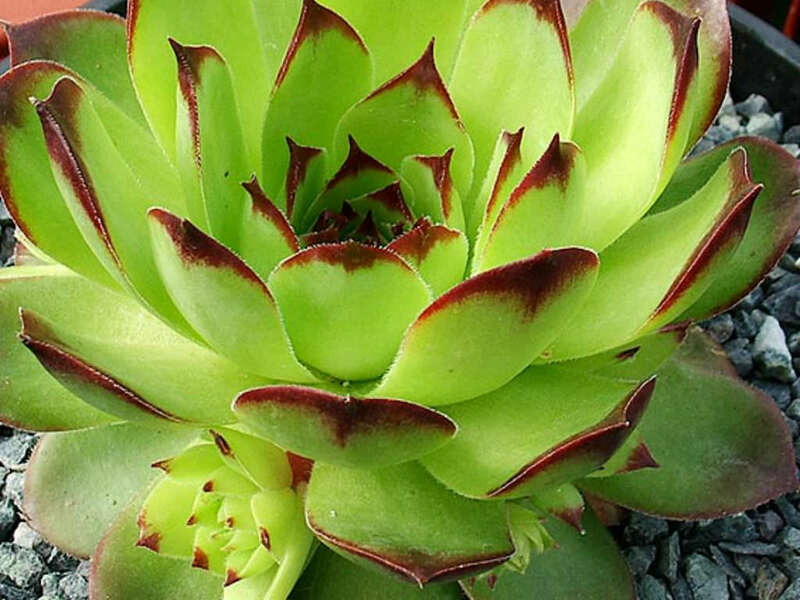 Star-shaped, reddish-purple flowers are held in flat cymes on the terminal ends of hairy, upright stems up to 20 inches (50 cm) long. 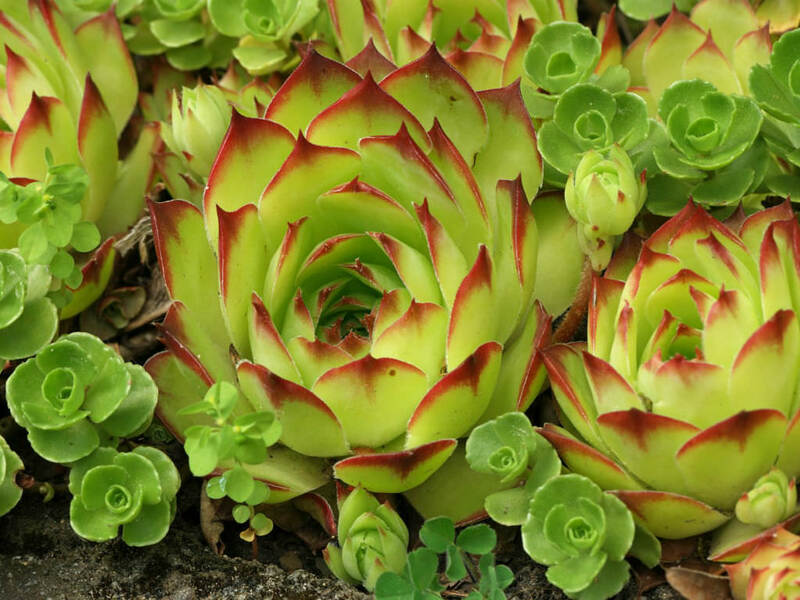 The rosettes die after flowering but are replaced by new rosettes on lateral runners. 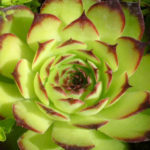 Common Houseleeks will spread by underground roots. 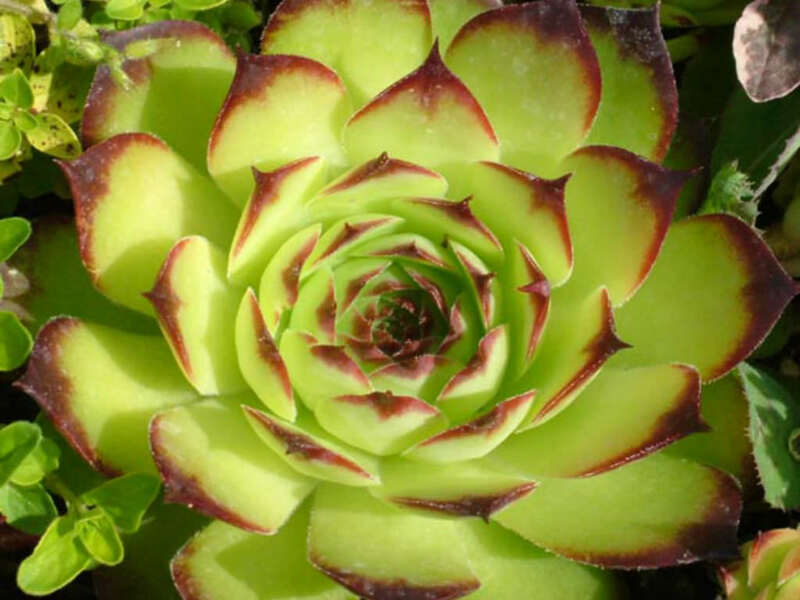 Each plant multiplies by at last 4, in a growing season, by producing little offset plantlets all around the perimeter of the ‘Hen’. 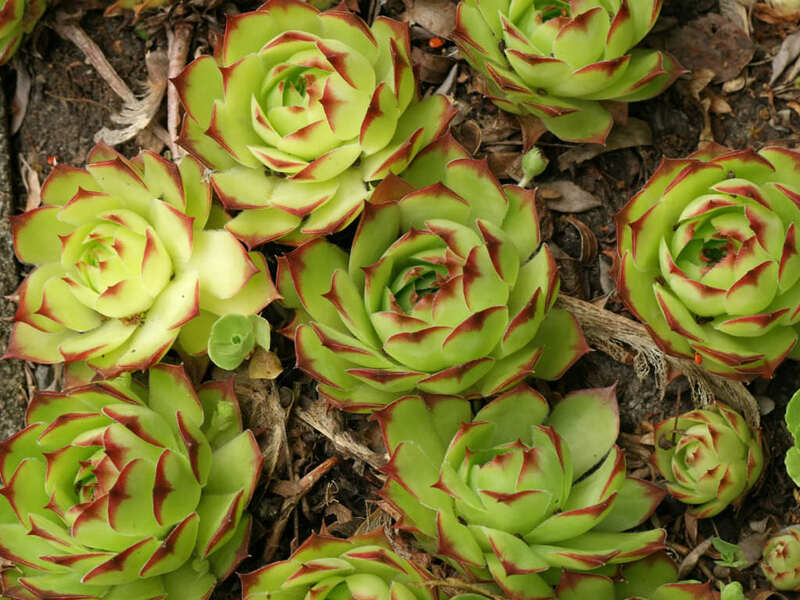 These are the ‘Chicks’. 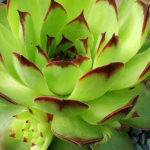 The Chicks can be snapped off and replanted elsewhere at any time… – See more at: How to Grow and Care for a Common Houseleek (Sempervivum tectorum).